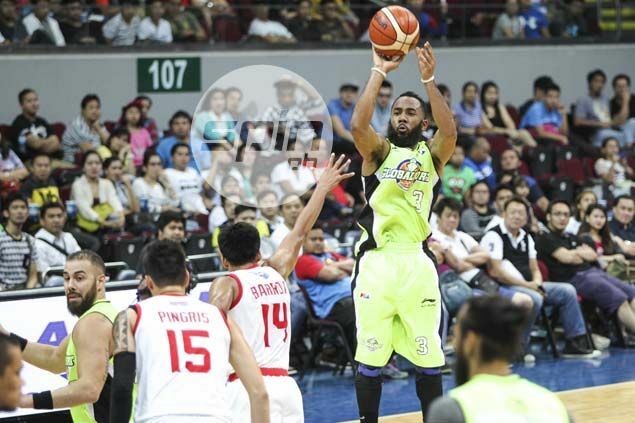 Fil-American guard Stanley Pringle may just be in his second year as a pro, but he is leading from the front for GlobalPort. His ankle fully healed after playing hurt in the PBA Governors Cup last season, Pringle has wasted no time showing that he’s back and ready to contribute to the Batang Pier’s cause. The former Penn State standout went on beast mode against Star last Friday, dropping 13 of his game-high 23 points in the fourth quarter to lead GlobalPort to a huge 101-94 upset for the team’s first win in the PBA’s 41st season. Pringle, who also had five assists and four rebounds against the Hotshots, was rewarded with the Accel-PBA Press Corps Player of the Week citation for the period covering October 26-October 31, besting NLEX’s forward Sean Anthony and Alaska’s Vic Manuel for the citation. Pringle, 28, is not your regular rookie, having gained extensive experience playing in Belgium, Poland, Ukraine and the ABL by way of the Indonesia Warriors, before becoming the PBA’s top rookie pick last year. But coach Pido Jarencio said what makes Pringle so special is his attitude as he teams up with Terrence Romeo in a talent-laden backcourt. “Ang maganda kasi kay Stan, he’s all-out pag pumasok na sa court. And para sa kanya, walang sapawan (with Romeo) though lagi ko naman nire-remind sa team na pag nanalo tayo, sama-sama tayo dito, at ganun din pag natalo tayo,” Jarencio said. Jarencio hopes Pringle will continue to sustain his fine form to start the season when GlobalPort returns to action this Sunday against Barako Bull.